Lisa Heinert is a developer, coach and educator with a passion for youth and international development. 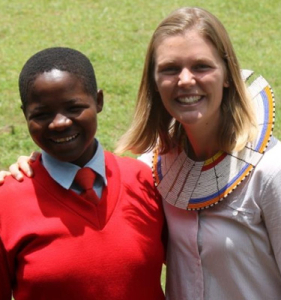 Through a recent long-term volunteer position with Orkeeswa Secondary School in rural Tanzania, Lisa learned first-hand the value and importance of education and youth development in rural, developing countries. Lisa continues to work with Orkeeswa School and their parent organization, the Indigenous Education Foundation of Tanzania (IEFT), as the school’s sponsorship coordinator. A graduate of the University of Nebraska-Lincoln with an Agriculture Economics degree and a Master’s degree in Leadership Development, Lisa has dedicated her career to youth and rural development. She grew up on a cattle and wheat farm in western Nebraska and relies heavily on the values and traditions of her farming background in her work with youth and rural development initiatives. She served as Wyoming State FFA Secretary in 2000-2001.